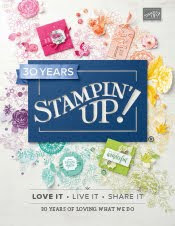 Just Julie B's Stampin' Space: Paisleys & Poseys Card Set & Purse! Paisleys are all the rage right now, and this card set will be perfect for all paisley-lovers! This set includes two different card designs, and three need to be made of each to fill the cute purse-box that goes with it. 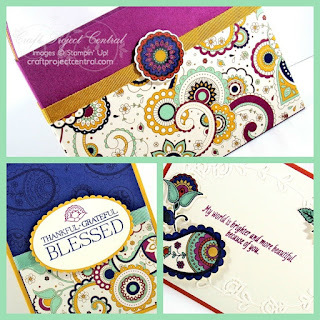 This project features the beautiful Petals & Paisleys Suite of products. Make one as a gift, and make another one for yourself. This would also make a great product-based class. This fun project was made by Christy Fulk and you can get her tutorial when you subscribe to the month of October over at Craft Project Central.